History and social studies have always been my favorite subjects in school. Rockford has and is producing so many accomplished, upstanding citizens. Look up any list of “famous people from Rockford, Illinois.” the list is so long with people from all different professional fields it will make your head spin. George Santayana is credited for the famous quote “Those who do not learn history are doomed to repeat it.” However, in regards to these seven famous Rockford ladies, I would be honored to follow in their footsteps. Thank you to my friends at Rockford Proud for giving me the idea for this week’s blog post! Their Facebook page (www.facebook.com/rockfordproud) is so inspiring. I love seeing such positive community support from proud community members. Check them out and don’t forget to use the hashtag #rockfordproud. Here is just a short list of seven Rockford ladies I found most inspiring. From athletes, politicians, and fine artists, to record breakers, Rockford has got them all! Kathryn Layng was born in Rockford, IL and attended Jefferson High School. She was also the Class of 1978 Homecoming Queen. Layng later graduated from the University of Illinois at Urbana-Champaign. Kathryn Layng is best known for her role as Nurse Mary Margaret "Curly" Spaulding in the comedy-drama series Doogie Howser, M.D. The series aired from 1989 to 1993 and was her first major screen role. In 1991, Layng guest starred in the television series Pro and Cons and appeared in the feature film The Marrying Man. After Doogie Howser, M.D. ended in 1993, Layng would guest star in the television series Joe&apos;s Life and Diagnosis Murder. 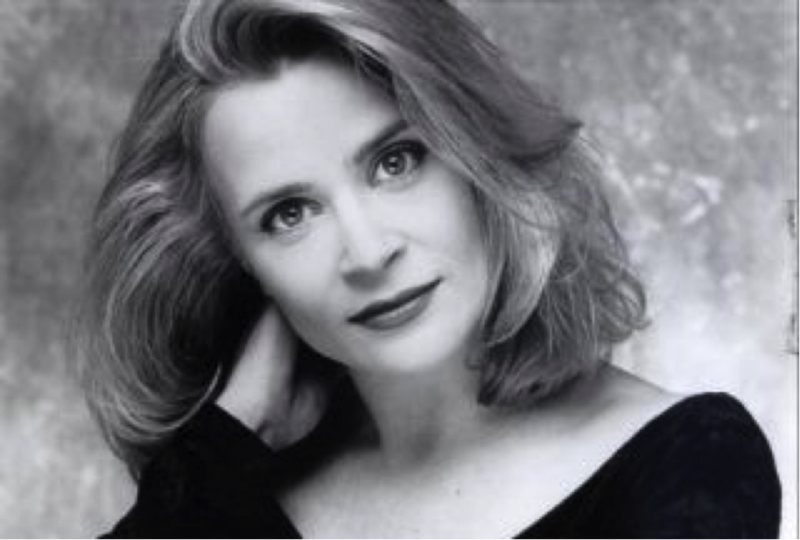 She also performed in the television short film Traveler&apos;s Rest in 1993. Her last television role was in the series New York News in 1995. In 2012, Layng co-starred in the independent film White Frog, which was produced by her husband, David Henry Hwang. Layng also has experience working in the world of Broadway as she was an understudy for the Broadway revival of Death of a Salesman and M. Butterfly. Bessica Faith Raiche was a female pioneer in many aspects of her life; sometimes referred to as a proto-feminist. She drove an automobile and wore bloomers. She was also a musician, painter, and linguist, and participated in swimming and shooting. Raiche was a dentist, businesswoman, and physician, who was the first woman in the United States accredited with flying solo in an airplane - all in the early 20th century. Most sources say Raiche was born in Wisconsin maybe around Beloit but they all agree that she lived in Rockford from age 5 until going to medical school in her twenties. In 1894 Raiche graduated from Rockford High School. After the Wright brothers took flight in 1903, the Raiches gained interest in the prospects of flight. Highly intelligent, the couple quickly found ways to improve the Wright design by using lighter materials for the wings such as bamboo instead of canvas, building the airplane in the living room of their summer home. To move the airplane outside they had to remove the front of their house. 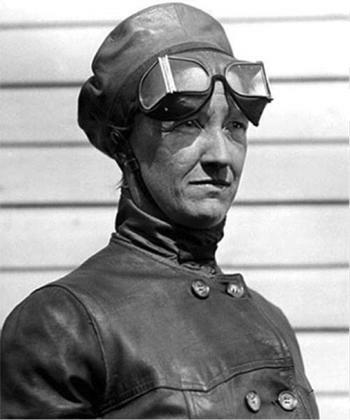 Bessica Raiche took flight on September 16, 1910, and the Aeronautical Society of America accredited her with becoming the first woman to fly a plane solo. After her accomplishments in flight, Raiche continued her medical studies and became one of the first female OB/GYNs. Michelle Williams became a top pop music star as part of the group Destiny&apos;s Child. She has also enjoyed some success as a solo gospel music artist and an actress. 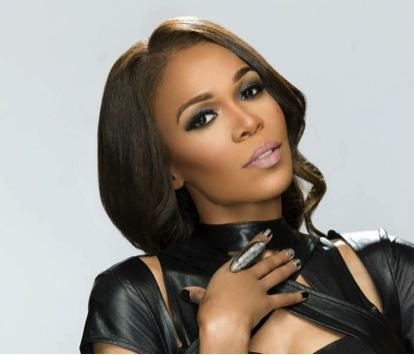 Michelle Williams made her musical debut at the age of seven, performing a rendition of the hymn "Blessed Assurance" at the St. Paul Church of God in Christ. After attending Rockford Auburn High School and being a part of the school&apos;s Creative and Performing Arts magnet program, she pursued a degree in criminal justice at Illinois State University. After two years of university, she left to pursue a music career and began touring as a backing vocalist for Grammy-award winning R&B artist Monica in October 1999. In late 1999, Williams met Destiny&apos;s Child band members Beyoncé and Kelly Rowland in the lobby of an Atlanta hotel. While with Destiny&apos;s Child, Williams successfully returned to her gospel roots with her first solo album Heart to Yours in 2002. She made her Broadway debut the following year in the musical Aida. After Destiny&apos;s Child disbanded in 2005, Williams released her first pop album, Unexpected (2008), which spawned the internationally-charting single "We Break the Dawn" and the US Dance number-one "The Greatest." Michelle Williams has earned an array of awards and honors as a solo artist and as a member of Destiny&apos;s Child. These include (but not limited to): one Grammy Award and 1 MOBO Award. Billboard ranked Williams as the fifth Top Gospel Artist of 2002 due to the success of her debut release Heart to Yours, which was one of the best-selling gospel releases of the year. Destiny&apos;s Child was honored with a star on the Hollywood Walk of Fame in March 2006. They were also recognized as the world&apos;s best-selling female group of all time. 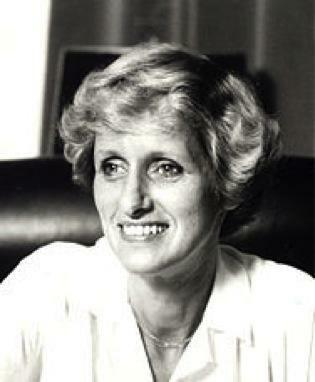 Lynn Martin, the first woman ever to hold a congressional leadership position, taught in the Rockford Public Schools in the &apos;60s and early &apos;70s. She ran for and won a seat on the Winnebago County Board and still taught in the school district for some time. Martin went on to serve in both the Illinois House of Representatives and the Illinois Senate where they called her “The Axe” for her efforts to cut spending. Martin won a vacated U.S House seat in 1980 and served there until 1991. Also, according to the Rockford Register Star, "She became the first woman elected to a congressional leadership position when she was chosen vice chairwoman of the House Republican Conference." Martin also went on to serve as the 21st United States Secretary of Labor under President George H. W. Bush, becoming only the third woman ever to hold the position. Following her political career, Martin taught at Northwestern University and currently lives in Chicago, IL. Julia Lathrop was an American social reformer in the area of education, social policy, and children&apos;s welfare. As director of the United States Children&apos;s Bureau from 1912 to 1922, she was the first woman ever to head a United States federal bureau. Julia Clifford Lathrop was born in Rockford, Illinois. Julia&apos;s father, a lawyer and personal friend of Abraham Lincoln, helped establish the Republican Party and served in the state legislature (1856–57) and Congress (1877–79). Her mother was a suffragist active in women&apos;s rights activities in Rockford and a graduate of the first class of Rockford Female Seminary. Lathrop attended Rockford Female Seminary (now Rockford University) where she met Jane Addams and Ellen Gates Starr (co-founders of Chicago&apos;s Hull House). After one year, she transferred to Vassar College, developing her own multidisciplinary studies in statistics, institutional history, sociology, and community organization, and graduated in 1880. Afterward, she worked in her father&apos;s law office first as a secretary and then studying the law for herself. In 1980, Lathrop moved to Chicago where she joined Adams, Starr, and other social reformers at the Hull House. During the depression years of the early &apos;90s Lathrop served as a volunteer investigator of relief applicants, visiting homes to document the needs of the families. In 1893, Lathrop was appointed as the first ever woman member of the Illinois State Board of Charities, beginning her lifelong work in civil service reform - advocating for the training of professional social workers and standardizing employment procedures. In 1912, President Taft created the United States Children&apos;s Bureau and appointed Lathrop as the first head of that bureau, becoming the first woman to head any federal bureau in United States history. Lathrop directed research into child labor, infant mortality, maternal mortality, juvenile delinquency, mothers&apos; pensions, and illegitimacy. In 1921, she helped pass the Sheppard-Towner Act, which provided federal aid to states to advance care for mothers and their children. Lathrop resigned in 1922 and returned to Rockford. 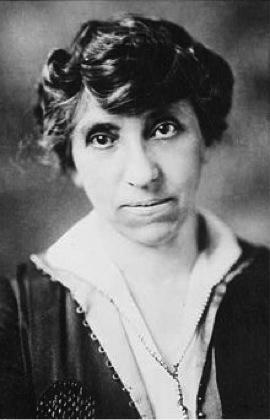 She stayed active in several reformist movements and became president of the Illinois League of Women Voters. She also was part of the Child Welfare Committee in the League of Nations and fought against juvenile capital punishment up until her death in 1932. 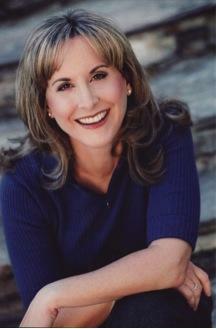 Jodi Benson, a native of Rockford, IL, has received worldwide recognition and critical acclaim as the voice of "Ariel" in Disney&apos;s The Little Mermaid (1989). For her contributions to the Disney company, Benson was named a Disney Legend in 2011. Benson attended Millikin University in Decatur, Illinois, where she abandoned a career in law to become one of the first students in the college&apos;s B.F.A. program in musical theatre. During Christmas break of her sophomore year, she auditioned for a Broadway show and won the job. She&apos;s been a perpetual presence on stages everywhere ever since. She made her Broadway debut in 1983 in Kenny Ortega&apos;s Marilyn: An American Fable and went on to star in the Howard Ashman/Marvin Hamlisch musical, Smile. It was in the show that she introduced a soaring tour de force ballad that has become well known to Disney fans, a song simply called "Disneyland." Jodi also appeared in A.E. Hotchner&apos;s and Cy Coleman&apos;s Welcome to the Club in 1989 and sang George Gershwin classics in the lead role of Crazy for You in 1992, which earned her a Tony Award nomination for Best Actress in a Musical. Benson&apos;s other projects include: “Tour Guide Barbie” in Disney’s Toy Story 2 (1999), “Weebo” in Disney’s Flubber (1997), “Thumbelina” in Warner Brothers’ Thumbelina (1994), The Little Mermaid: Aerial’s Beginning (2008), The Little Mermaid 2: Return to the Sea (2000), “Lady” in Lady and the Tramp II: Scamp’s Adventure (2001), “Anita” in 101 Dalmatians II: Patch’s London Adventure. Benson appears as “Sam” in Disney’s film Enchanted (2007), and many, many others. Born in Chicago but raised in Rockford and coached by Slavka Kohout at the Wagon Wheel Skating Center in Rockton, Illinois, Janet Lynn was the United States National Figure Skating Champion from 1969 through 1973. She won an Olympic bronze medal in 1972. Janet Lynn is remembered for being both athletic and graceful. She is often considered one of the best free skaters of all time and one of the first women to land triple jumps in competition. Janet Lynn is also accredited to be the possible origin of the V/peace sign in casual photos in Japan. During the 1972 Winter Olympics in Sapporo, Hokkaidō Lynn fell during a free-skate period but continued to smile even as she sat on the ice. Though she placed third in the competition, her cheerful diligence and persistence resonated with many Japanese viewers. Lynn became an overnight foreign celebrity in Japan. A peace activist, Lynn frequently flashed the V sign when she was covered in Japanese media, and she is credited by some Japanese for having popularized its use since the 1970s in amateur photographs. 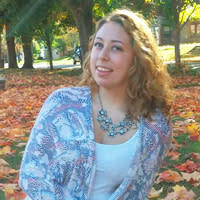 Addie Longberry is a senior at Keith Country Day School with a passion for the community. Between classes, rugby practice, theater, her internship at the RACVB, and various volunteer activities, Addie can be found lounging at local coffee shops or local music venues with her friends.